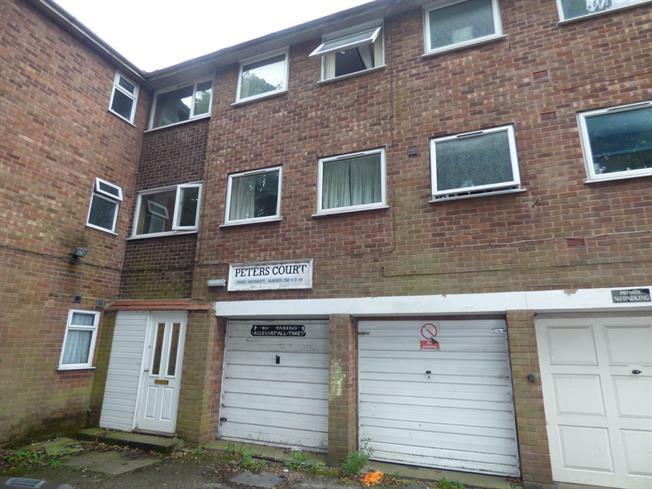 2 Bedroom Flat For Sale in Derby for Asking Price £79,950. A first floor two bedroom flat offered for sale with no chain, making this an ideal purchase for first time buyers and investors. The property is located in the popular residential area of Alvaston, close to a range of local amenities, schools and bus stops, major road links are easily accessible. The accommodation briefly comprises; entrance hall, living/dining room, fitted kitchen, two good sized bedrooms and a bathroom. Externally the property benefits from off street parking. Double glazed window to the side and rear. Electric heater and laminate flooring. Double glazed window. Roll top work surface, fitted wall and base units, stainless steel sink nd with mixer tap and drainer, integrated electric oven and hob with over hob extractor, space for washing machine and fridge/freezer. Double glazed window to the side and rear. Electric heater. Low level WC, panelled bath with electric shower over bath, pedestal sink and extractor fan.